I’ve added tons of photos of Jennifer out and about in New York yesterday – heading to do some promo work for ‘Joy’. 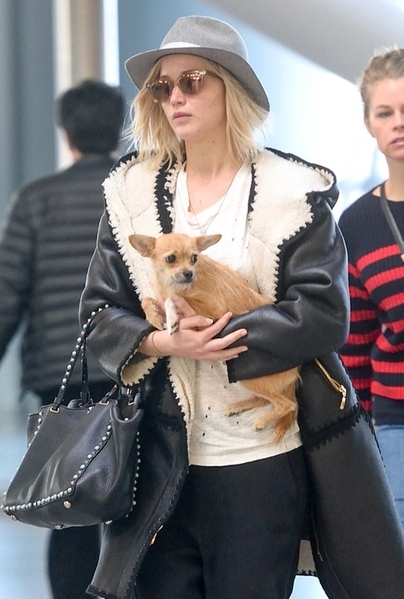 12 photos of Jen leaving her hotel in NYC today have been added. Enjoy! Director David O’Russell and his Muse Jennifer Lawrence was seen leaving DGA Theater New York Theater after attending ‘Joy’ Screening yesterday. Jen was walking and primping her make up, she’s adorable! Check out almost 60 new photos in our gallery. Jennifer was seen leaving her hotel in New York City yesterday. She looks great in that coat, does’t she?